Beautiful ski home with tons of room and great location. Across the street from Two Creeks ski run, easy access to entire mountain. Ski access out is 50 yards down the street and ski access in is right across the street. The house has a large common area (great room, recreation room) along with large bedrooms and bathrooms in every bedroom. HIGH SPEED WIRELESS INTERNET and 50' Plasma HDTV. The house is right on Snowmass Mountain. Get to Snowmass Village in ten minutes for shopping, ice skating, great bars, grocery store, gas station, and restaurants. Airport is 20 minutes by car and Aspen is 25 minutes. Ski tickets are good on all for mountains (Aspen, Aspen Highlands, Buttermilk, and Snowmass). The house has 6 Bedrooms that lays out as follows: Master Bedroom -1 King, Bedroom 1 - 1 King, Bedroom 2 - 1 Queen, Bedroom 3 - 3 Twin Beds, Bedroom 4 - 2 Twin Beds, Bedroom 5 - 1 Queen Beds. 6.5 Bathrooms. Each Bedroom has its own full bath and there are 2 sleeper sofas. The kitchen is very well equipped and there is a jacuzzi on the deck outside along with a spa tub in the master bedroom. Hello from the Rankin's we would like to invite you to our home in Snowmass Village when we aren't enjoying it ourselves. Fortunately for me my father made his first trip to Snowmass in 1971 with me in tow and I have skied there ever since. I have had fun introducing my wife and kids to the mountain over the last 15 years and thankfully they love to ski. Over the years we have had many trips with many different guests and we would like to think that we have the perfect house in the perfect location. After a year of painting, redecorating and general updates the house has never been better. I hope you get a chance to experience what I think is one of the best ski vacations in the world! The perfect ski mountain for all levels of skiers and the perfect location. The absolute best benefit of our house is the proximity to the ski area. Its just across the street and when there is snow on the road you can ski right to the front door! We had such a wonderful time in this house - myself, my husband and two toddlers as well as three grandmas and two aunts had plenty of room to spread out and play. Snowmass and skiing was super close - my husband skiied in to the mountain and loved it. A great time! I am so happy you enjoyed your stay. Hopefully we will see you again soon! Exactly what we were looking for - not flashy but super practical with a good layout and plenty of sleeping space. Owner was very responsive to all of our questions. I am really happy you had a good trip. A record amount of snow surely helped! I hope you can return soon. Our group of 11 adults had a great extended weekend stay at this property and were highly satisfied. Plenty of room for everyone to spread out. We had no trouble going into Snowmass Village on Saturday night for dinner via High Mountain Taxi. Check out Dial-A-Ride between the hours of 8 a.m. - 9 p.m. in the winter for a discounted ride. The ski in / ski out is about 50 yards down the road. A touch tricky to find the first day, but after that we had no issues. We took some surveyor's tape and marked a tree so we could find the spot to turn off of the West Fork run. The communication with Paul was professional and prompt. The beds were comfortable, there were enough bathrooms for everyone and though the house is dated we were all delighted to stay here. 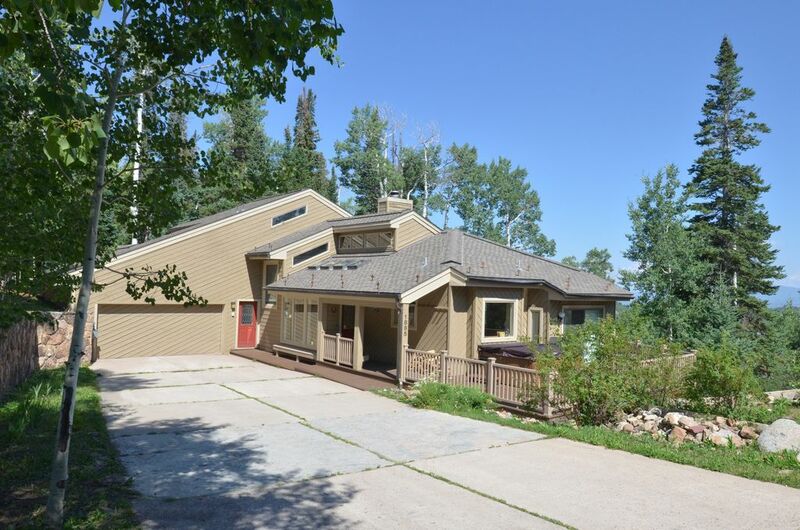 Hope to make it back to Snowmass again and would put this house high on my list of properties to stay in. I am so glad you enjoyed your trip to Snowmass. I hope you can return soon. Great idea with the surveyors tape. The trail can be easily missed after a long day of skiing. We loved this house! The location was great, very short walk to the ski runs. The house was nice and big, with plenty of bedrooms and bathrooms for all 14 of us. We used the fireplace and the hot tub every night after skiing all day, the house had everything we needed. We would definitely stay here again! I am so happy you enjoyed your stay. Hopefully you will return soon. We thoroughly enjoyed our stay here! We had a group of 14 and it was ideal. Everyone had their own bedroom and bathroom giving everyone privacy, but there was a large living room/dining/kitchen area large enough for all when the whole group was together. The game room with the ping pong table was great! The house had all the things we needed. It is about a 5 minute drive to the slopes, but you can ski in/out to the house if you're not a beginner skiier. The hot tub was a treat also!! Hope we get the chance to stay here again!! I'm so glad you enjoyed your trip and look forward to seeing you again soon! Our family of 12 had a wonderful time in this well-equipped, large home. The ski-in/out availability was perfect, and easy to find. Plenty of room in the home for everyone to spread out, if desired, or congregate for games, etc. Hot tub and ping-pong table were enjoyed by all. Thank you, Paul, for allowing us to enjoy your home. So glad you enjoyed your time in Snowmass.